The Extreme White Gel is the brightest white gel in the Magnetic Gel range. The Extreme White Gel cures in 4 minutes without a sticky layer. This white Gel can be used on fiberglass in combination with Supreme Finish, on gel nails and on acrylic nails. 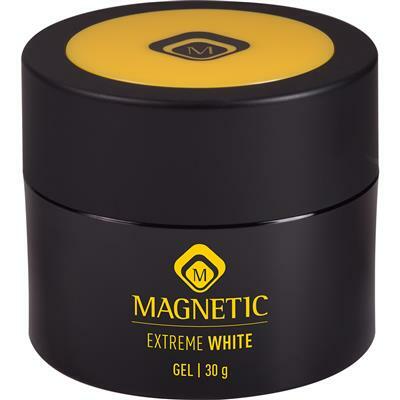 The Extreme White Gel is also ideal for nail art and designer nails.